I know I’ve already had my crack at our own Seven Wonders of Africa series, but I’ve just got back from Eritrea, where together with Will, his son Josh, and Josh’s friend, Noah, we visited the Dahalak Archipelago. A year ago, I’d never heard of it. Today, it’s one of my seven wonders. It has to be one of the most extraordinary places I’ve ever visited. Eritrea’s located in the Horn of Africa, north-east of Ethiopia. It sits up against the Red Sea. Its capital’s Asmara. In antiquity, it was most probably a part of Punt, an ancient kingdom that traded with the earliest Egyptians. Later it was part of Axum, one of Africa’s greatest trading empires. It was then ruled by different Christian kings and Muslim sultans, and was known by different names, including Ma’kele Bahr and Medri Bahri. It was occupied by the Ottomans from the sixteenth century until the late 1800s, and then by Italy, when it was known as Italian Eritrea and its borders properly defined. After Italy’s defeat in the Second World War, the allies and the UN declared Eritrea a semi-autonomous state federated to Ethiopia. The Eritreans weren’t consulted. Resistance began in 1958, and continued for another 30-odd years, before Asmara was liberated. A referendum was held in 1993, asking the people to decide the future. An amazing 99% voted for independence. Until just this year, Eritrea and Ethiopia have been at war. Peace overtures by Ethiopia’s new president mean the border between the two countries is open for the first time. I arrived in Asmara a day ahead of Will and the boys. Straight away, I loved it. The architecture and the feel of the place are wonderful. The people are amazing. Several approached me in the street to shake my hand, welcoming me to the country. 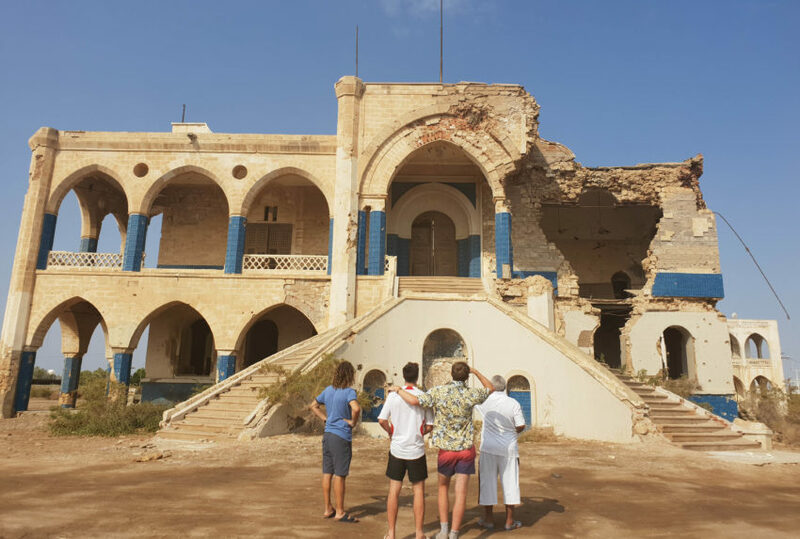 After the others arrived, we based ourselves in the coastal city of Massawa, where we stayed at the one and only Dahlak Hotel, which overlooks the old town and the ruins of Emperor Haile Selassie’s seaside palace (pictured below). From here, we took a boat out to visit the islands, specifically Dessi and Madote (pictured above). There are more than 120 islands in the archipelago. Just four, I think I’m right in saying, are inhabited. The sea here is something else. The marine life and coral are untouched, which makes for some spectacular diving. There are 300 species of fish. The water is clear. Pristine is such an overused word, but it means something here. 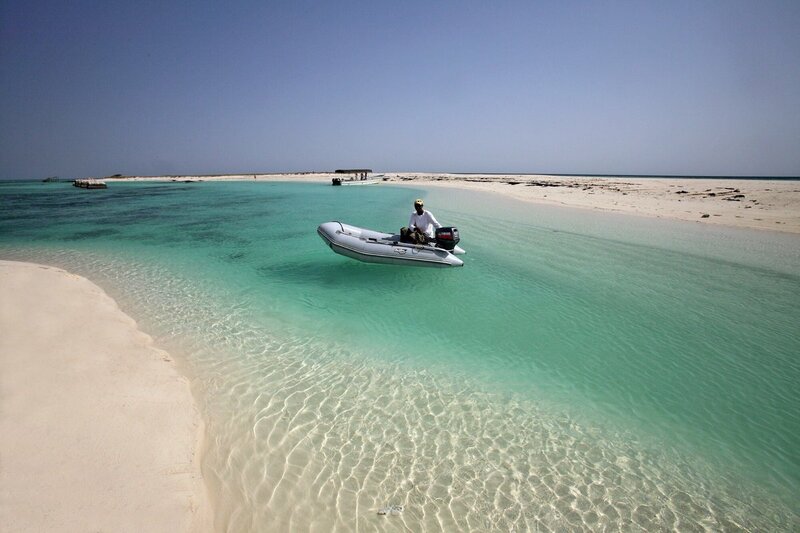 Madote is nothing more than a sandbank in the Red Sea, the only signs of human activity an old lighthouse. We swam, and ate on the boat. The whole experience was simple and utterly beautiful. All in all, we spent a week in Eritrea. Having been closed to pretty much the rest of the world, travel here is still hampered by the need for permits. People live on very little. Many of the buildings in the cities we visited have been left to themselves. However, I felt wonderfully alive here, and very safe. Getting about was slow work, but all the better for the experience of being able to properly meet people. I’m going back, as soon as I can! We are just in the process of gathering text and images for Eritrea, soon (January 2019) to join our portfolio of country destinations.